The world is full of companies that are making wargaming miniatures. Many of these are clearly inspired by Games Workshop and their output. Some, such as Chapter House, have been involved in rather heated legal discussions about what is and isn’t allowed. Warhammer 40,000 (otherwise known as 40k), is probably the world’s leading table top war-game. Once upon a time, Games Workshop had a race in this game which they named as ‘Squats’. 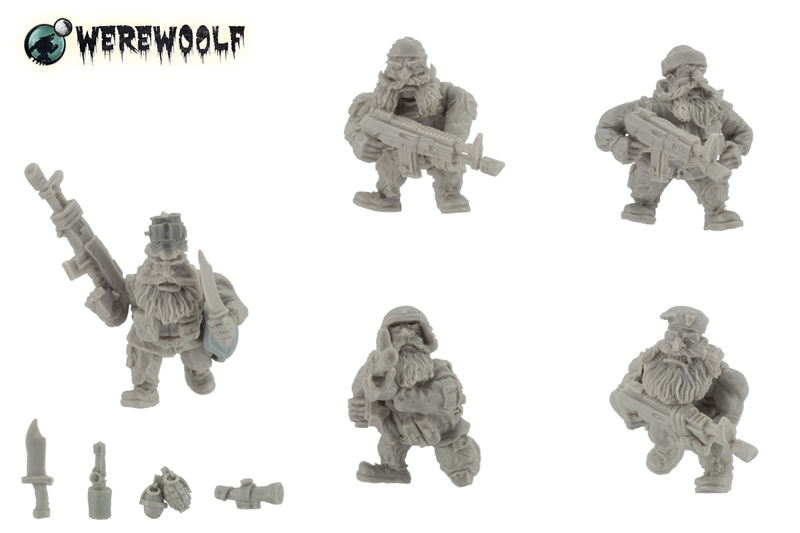 They were space dwarves, literally the dwarves taken from Warhammer Fantasy Battle and plonked down into Warhammer 40k. Even their history (Orks attacking strongholds, Eldar (space elves) failing to save them etc), was similar. The figures were – for those days – glorious. They were fun. Cigar-smoking, trike-riding space dwarfs racing into battle, smashing their foes to little pieces. Then they just disappeared. Literally. There was some sort of ‘and then they all died’ entry in a book I can’t remember and that was that. They also got renamed to demiurg for some reason that I’m not sure of and can’t be bothered to look up. Needless to say, people have been asking for their return for years. Games Workshop, Forge World and the Black Library have all ignored this clamouring and seemed dead set on leaving the squats buried in the ruins of their strongholds. This doesn’t mean that other companies left them however. Mantic Games has the Forge Fathers, and they have proven to be popular. But, there’s a new kid on the block. 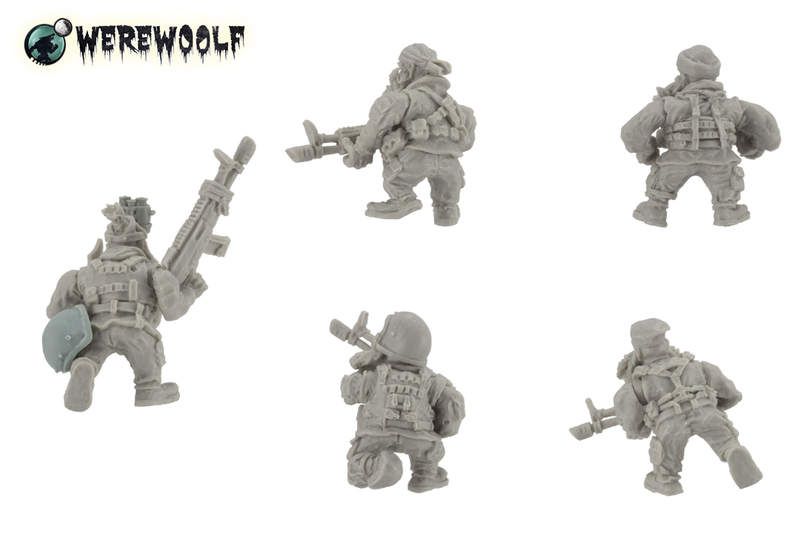 Werewoolf Miniatures is a new(ish) company that are bringing out some crazily fabulous minis. Follow the link above and take a look at the Specnaz Ogre touting the GPMG, it’s gorgeous! 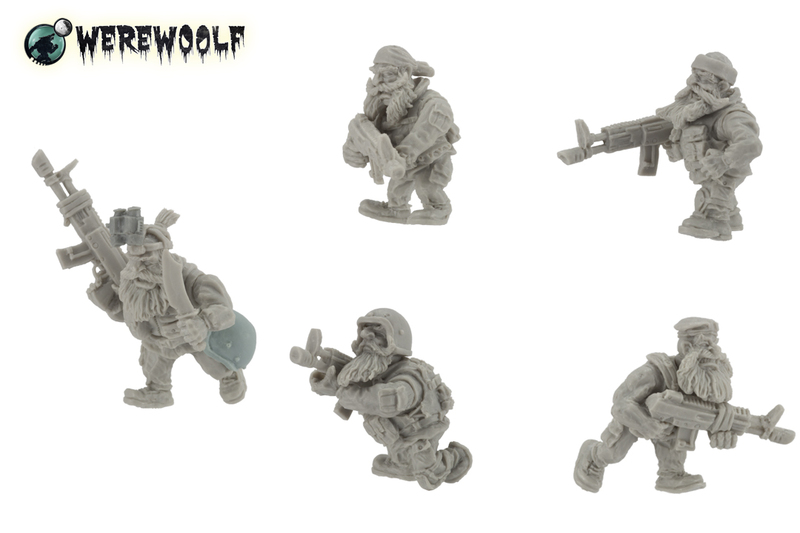 Ogres aside, they have also announced their Dvareg’s Tsardom: Tsarograd Sewer Scouts. To me, these figures recapture the fun of the squats whilst looking absolutely amazing! Have a ganders below and let me know what you think. « Bring back split screen dammit! Thanks for that. They do lovely minis!